Calling all young adults 19-30 years old! Registration for our Post-High Weekend Retreat is coming up. This is a weekend full of bible study, recreation, and hanging out with your friends (old and new). 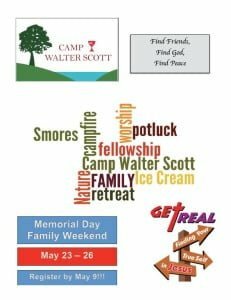 Join us at Camp Walter Scott July 18-20. For more information, contact the Regional Office. Click here for the registration form. 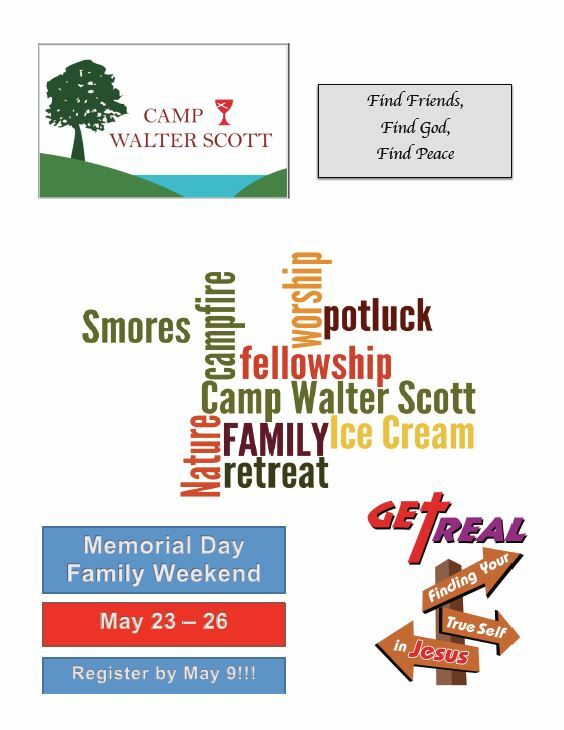 Wanting a weekend for your family to relax, have fun, and appreciate God’s beauty at Camp Walter Scott? Join us August 29-September 1 for our Annual Labor Day Family Weekend. All families must register by August 15. For more information, contact the Regional Office. Click here for the registration form.